We present an extended version of the Castagnos and Laguillaumie linearly homomorphic cryptosystem  in which the non-maximal imaginary quadratic order is allowed to have conductor equal to a product of prime powers as opposed to a single prime. Numerical results obtained with an optimized C implementation demonstrate that this variation improves performance when large messages and exponents are used. When compared to the cryptosystems of Paillier  and Bresson et al. 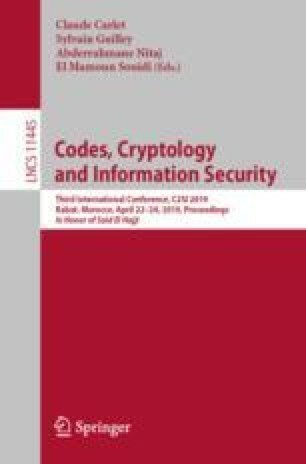 at the same security levels, the basic version of Castagnos and Laguillaumie is the fastest at high security levels for small messages. The second and third authors’ research is supported by NSERC.